I am originally from Germany and in 2003 moved to London to pursue a degree in Circus Arts at the National Centre for Circus Arts (formerly Circus Space). I graduated in 2006 and have lived and continued my juggling practice in London ever since. I work for Companies Gandini Juggling and Feeding the Fish among others and with my juggling partner Ben we work as duet Ben & Fred. You can contact me directly if you are looking for a juggler for your upcoming event. 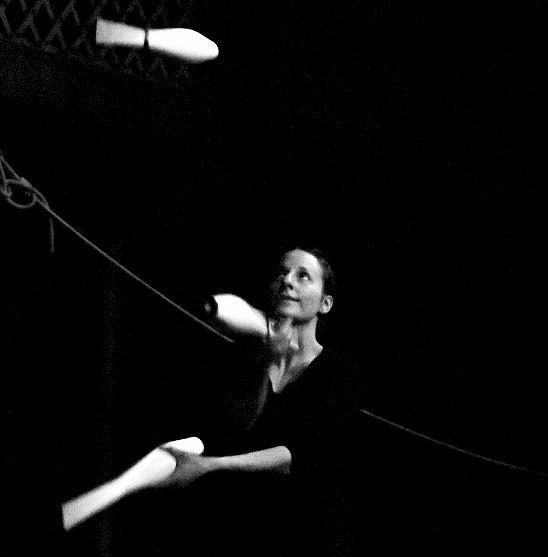 I perform a club juggling solo routine and walkabout with clubs, balls or rings in costumes after request. I do LED and fire juggling walkabout. With my juggling partner Ben we are available as a duet act and walkabout. We both are available for juggling workshops.